University is arguably the best time for you to learn about the world around you through newspapers and periodicals, but it's also probably the worst time when it comes to being able to afford all those publications. If you're currently enrolled in university as either an undergrad or graduate student, Scribd has a deal right now that makes getting access to its library, including a New York Times subscription, a little more affordable. TechCrunch reports that to take advantage of the deal, you'll need a .edu email address that can be verified through SheerID. 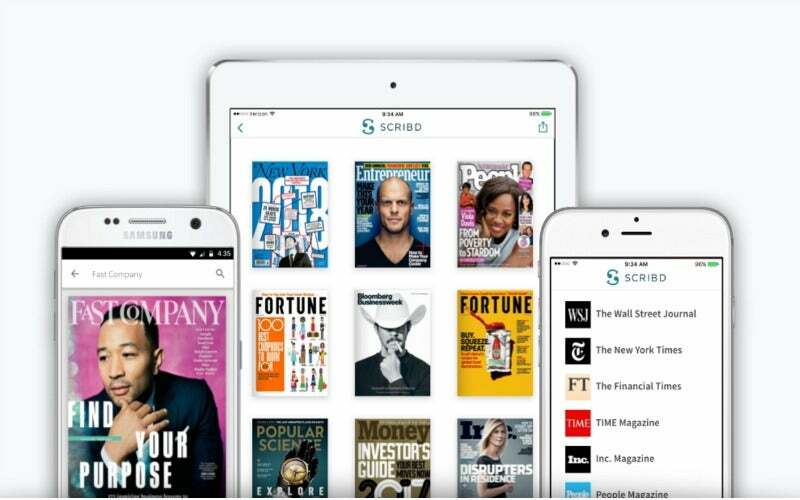 With it, you'll be able to purchase four months of access to Scribd's library of content for $US29.99 ($38). Students will also get the free add-on of access to The New York Times. A Scribd subscription typically runs $US8.99 ($11)/month, and includes access to unlimited audiobooks, magazines and comments as well as the ability to read three books per months off the platform. Digital access to The New York Times starts at $US9.99 ($12)/month. Even if you were considering purchasing one of them, this could be a solid bargain. If you were thinking about buying access to both, then it's a pretty fantastic discount.